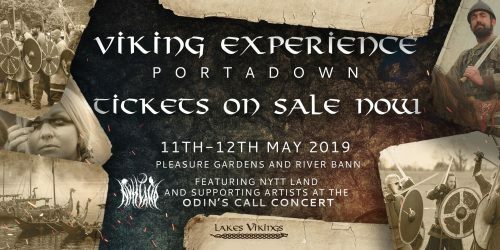 The Viking Experience and Odins Call Concert comes to Portadown on May 11-12th May 2019. Don’t miss out on purchasing your tickets for the incredible ‘Odins Call’ concert on Saturday 11th May. Click here to watch the promo from Nytt Land.